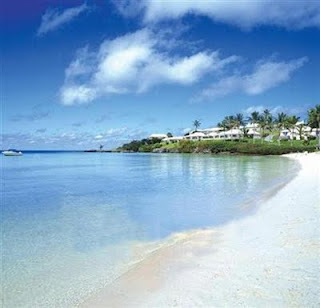 Bermuda is not a particularly big place - but you won't have to worry that you will run out of things to do. Bermuda holidays will offer you a truly unique experience.Although commonly referred to as an island, Bermuda, in fact, consists of over 150 small grouped islands, which are occasionally referred to as ‘The Somers Isles’ - after an English Admiral. A fairly widely held misconception is that Bermuda is in the Caribbean and has a tropical climate. In fact, it is not. It is off the eastern seaboard of the United States of America and has a sub-tropical climate. This isn't just a geographical debating point - it means that even in summer, the average high temperature during the day is around 27-30 degrees and something that most people will find pleasant. Fishing is a major activity and tourist pastime, and a must for many during their Bermuda holidays. There is a vast range of fishing to choose from, including the huge game fishing that may end up with you battling a marlin or something similar. Contrary to what you may believe, holidays on Bermuda are not only for the rich and powerful.It is perfectly possible to have a luxury holiday in an extremely comfortable hotel at prices that may be surprisingly reasonable. There is a wide and diverse range of accommodation on the island, catering for all budgets. If something a little less highbrow appeals to you, there are great marine-life centres including one that offers the opportunity for younger visitors to swim alongside dolphins. You can also hire boats by the day or half-day and enjoy yourself fishing or snorkelling in the crystal clear waters. Holidays on Bermuda may be slightly different from some others you are familiar with, as tourists are not allowed to hire cars on the island. If you would like to get about yourself, you will need to hire a scooter or use the regular buses and ferries. The islanders drive on the left and, if you are on a scooter, paying careful attention to road safety is highly advisable as the roads may be narrow in some places, but the speed limit is only 20mph.